Despite how it seems like Marvel has made a movie for every single character they got — what's next, a movie featuring a talking racoon and a tree? — there's actually a bunch of Marvel characters that haven't appeared in the MCU. But just because they haven't appeared on screen, doesn't mean Marvel doesn't have scripts for them. Yes, despite how every single MCU movie is basically a winning lottery ticket, Marvel is sitting on some scripts. Don't think this means that they're just lounging on them, though — Marvel has an incredibly complex plan for their movies, stretching years into the future. One of the film scripts that Marvel Studios had for awhile is Captain Marvel, which is finally coming out in the next couple of years. This is good news for another announced script — Blade. Yes, the bamfing vampire-hunter (originally played by Wesley Snipes) has an MCU script ready and waiting. 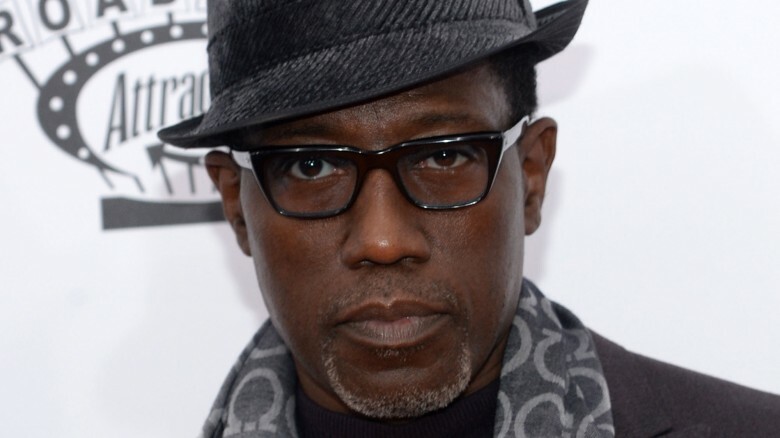 Oh and Wesley Snipes wants to play him again, because what else has he got going on? While a few years ago, bringing in a vampire hunter might've seemed weird, now — with Agents of Shield dealing with Ghost Rider, and Doctor Strange dealing with the effects of a mushroom overdose — bringing back Blade makes exactly as much sense as a movie featuring a literal actual living planet. Which, yeah, is a character in the next Guardians movie. Comic books are weird. All right, so for this one, we need to talk about how scripts are credited sometimes. What normally happens is that the studio has an idea for a film, hires someone to write it, and then — if the studio wants another direction — the studio hires another writer, who reads the previous script, sees what works and doesn't, and then writes a new one. This is why Pirates of the Caribbean: Curse of the Black Pearl has about nine thousand writers. Some Marvel films work this way — for instance, The Avengers had two writers, yet there's very few similarities between the two scripts. However, with Guardians, it's even weirder. See, Nicole Perlman was part of a thing called the Marvel Studios' writers-program, and while there, she wrote a script for Guardians of the Galaxy. After reading it, Marvel execs decided that, while Guardians initially seemed a super-odd choice, it might work. So the producers hired James Gunn to make it. Now, despite there already being a script — which got the film greenlit, mind — Gunn decided to write an entirely new script, without once even looking at Nicole Perlman's. There are zero similarities between the two, but Nicole Perlman is listed as one of the writers because she's the reason the film got made in the first place. Even though, technically, all she contributed was "let's do a movie about them." Hollywood somehow makes less sense than comic books do. Ant-Man is one of the later MCU movies, but it actually began production before basically any of the others — even Iron Man. The MCU wasn't even a thing when Ant-Man started to … buzz? Bark? What noise do ants make? Anyway. Two years before Iron Man came out, Edgar Wright — perhaps best known for directing and co-writing Hot Fuzz, Shaun of the Dead, and Scott Pilgrim Vs. 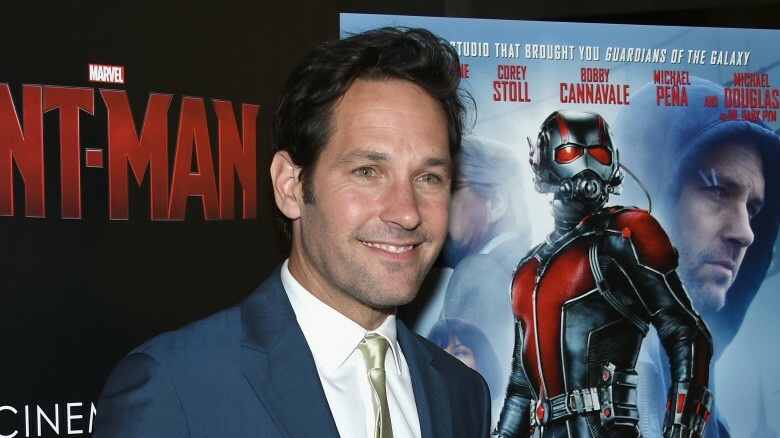 The World — started development on an Ant-Man film. It was to be a huge, comedic heist movie, but then script setbacks happened, then other script setbacks happened, then — guess what — some more setbacks happened! Eventually, it got to the point that the MCU was so well-developed, the Ant-Man script had to be rewritten to fit into the meticulously plotted out film arc. So the original awesome script fell by the wayside, Edgar Wright left the movie, Peyton Reed jumped onboard and made the also-awesome, fun, non-heisty movie we know today. But can you imagine what the MCU would have been like if Ant-Man was the first Marvel film out of the gate, instead of Iron Man? If it was, would Scott Lang come to visit at the end? If it sounds a bit silly to you, just remember that, in the comics, Ant-Man was one of the founding members of the Avengers, just like Iron Man! What could have been, huh? Although, to be fair, if Ant-Man was the first, the series would probably be a lot, lot sillier. Seriously, ants. When Batman Begins came out, it changed DC movies forever. From then on, all of them were dark and brooding. After a while, the MCU came on the scene and had a much lighter and cheerier tone, a radical departure from the Dark Knight's movies. Eventually, the MCU's style of serialized film storytelling would force DC to create their own multi-film franchise, in a desperate (and mostly eh) bid to compete. However, DC stealing from Marvel isn't anything new — the two companies have been taking cues from each other forever. Hell, even Iron Man was inspired by Batman Begins. This isn't implied or anything — Jon Favreau, the director of Iron Man, the one who came up with the Nick Fury cameo, and who was originally going to direct Avengers, specifically name-checked Batman Begins, even saying, "I wanted to make a movie like Christopher [Nolan]'s." Minus the part where Bruce Wayne doesn't drink. Tony Stark ain't down with that. Back before the Marvel movies started dominating the box office, superhero movies were very hit or miss. Yeah, there was Batman Begins, but also Fantastic Four: Rise of the Silver Surfer. There was Spider-Man 2, but also Spider-Man 3. One of the problems with them, Marvel realized, was that the bad movies weren't anything like the comics. In an attempt to overcome that, Marvel created a thinktank — the Marvel Cinematic Universe Braintrust, which consisted of Marvel comic writers who could consult and help out with making the Marvel movies the best they could be. 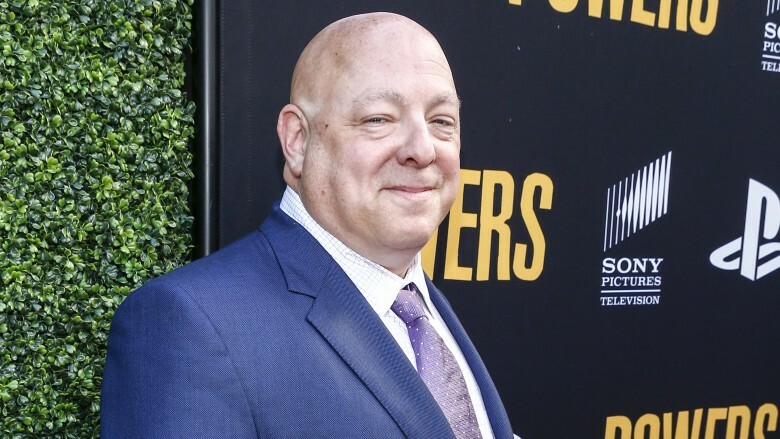 One of these people was Brian Michael Bendis (pictured above), who wrote Nick Fury's lines for his cameo in the first Iron Man. This group went through the scripts and made sure that they weren't, you know, terrible. This is one of the reasons the MCU did so well — because it had comic book writers helping out. But you know how, sometimes, when something is just too easy, it gets a little boring? Well, Marvel Studios must have been feeling that way because it dissolved the braintrust. Yes, the group that was responsible for double-checking — and maintaining integrity across the Marvel films — was destroyed in fall 2015, right before the MCU's most ambitious phase began! So if things start to get weird and scary and terrible in the MCU soon, you'll know why. 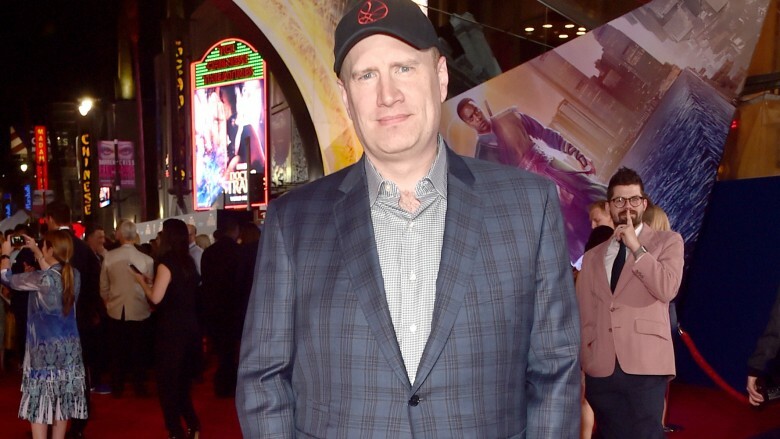 Before we continue, you should know one thing — Kevin Feige, the person in charge of the MCU, is a super big nerd. He had Back to the Future Part II posters covering his wall. 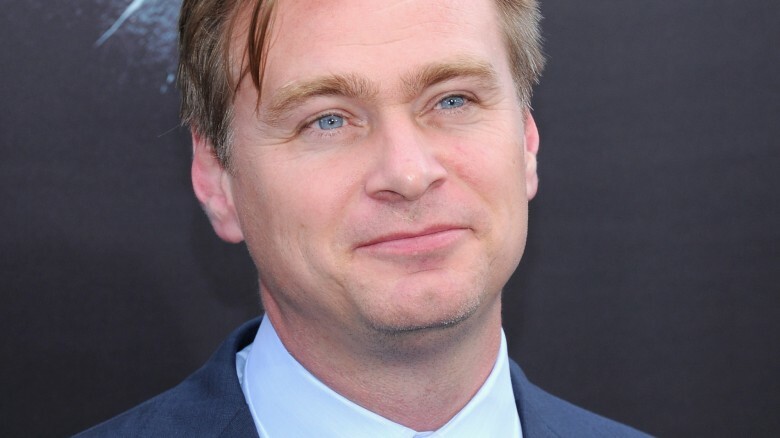 All he loves are films (and his kids and wife, blah blah blah). He got his start working at Marvel with the original X-Men movie. Perhaps due to dedication and moxie — but more likely, due to his encyclopedic knowledge of all things film (ie, he's the the biggest nerd who ever nerded), he managed to slowly work his way up the ranks until he was in charge of Marvel. Did we say slowly? Sorry, we meant, in less than ten years, he went from working on X-Men to creating the MCU. Meanwhile, you'd be lucky to make Assistant Manager of the 7-11 in ten years. 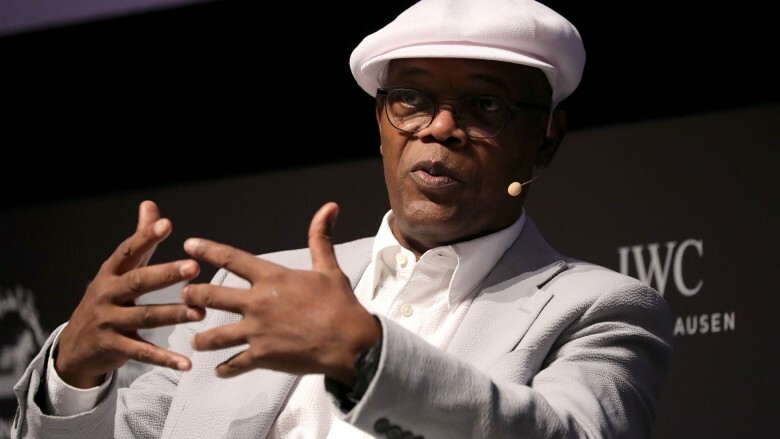 Remember when Iron Man ended and Samuel L Curseword appeared to discuss "The Avengers Initiative" and then you peed? What if we told you that wasn't originally going to be the first time two Marvel superheroes met? Yeah, before Iron Man even came out, Spider-Man and X-Men were a couple of super popular (and super awesome) superhero series. During the filming of Spider-Man, there was originally going to be a Wolverine cameo. Not a Hugh Jackman cameo — a Wolverine cameo. As in, Spider-Man and X-Men were originally going to take place in the same Universe! That's because, years before the MCU was even created, there was almost a smaller version of it. Unfortunately it all fell apart, and for perhaps the silliest reason of all: no one could find Wolverine's suit. If whoever was in charge of gear was just a little better at their job, the MCU might've begun with Spidey and Wolvie, instead of Starkie and Fury…ee. Which, well, that would've been super amazing too, although Nick Fury's cameo was pretty awesome. Yeah, despite the MCU — in retrospect — seeming like the smartest, most money-makingest, most mostest idea since the creation of the franchise, it almost didn't happen. Yeah, the Nick Fury cameo at the end wasn't originally planned at all! See, what happened was, after the movie was almost done, the director decided he wanted to do some small, cute things for the fans. Around that time, a new comic series called The Ultimates was coming out, featuring a Nick Fury physically inspired by Samuel L Jackson, and Jon Favreau decided it'd be cool to include a reference. This wasn't thought out, at all. Here is literally how it happened, according to Iron Man director Kevin Feige: "I [Favreau] turned to Kevin and said, 'You know what would blow their minds? Should we do this?' Kevin was like, 'Let's try'." Yep, just like that, they created the idea of all their movies crossing over and being tied together, and they did it with all the thought most people expound to decide to go get burgers. Yeah. Iron Man — the film that started the MCU, the one many still consider one of the best of the lot, didn't have a script. Not a one! Jeff Bridges even referred to it "a $200 million student film," that's how unplanned the whole thing was. When Bridges and Robert Downey, Jr. had scenes together, the two would take turns coming up with lines, and then would act as the other's character to see how their lines sounded. Yes, the two took turns pretending to be Tony Stark, to see how the dialogue worked, and then filmed it. That is how the MCU was born — through trial and error, by a bunch of people working about ten minutes before the cameras rolled. No plan, just a bunch of improv, and everybody riding by the seat of their butts. The entire film was made this way — a rough outline, a looming deadline, and a group of actors and the crew just, in the words of The Dude, "jamming." Okay, honestly, was anything about the MCU planned, like, at all? OK, surely Marvel gained a plan after Iron Man. At least a soft plan, right? For instance, the Infinity Gems. That had to have come into play awhile ago, right? Nope! See, like we mentioned, Jon Favreau was originally planned to direct The Avengers, even for a while after Iron Man 2 came out. 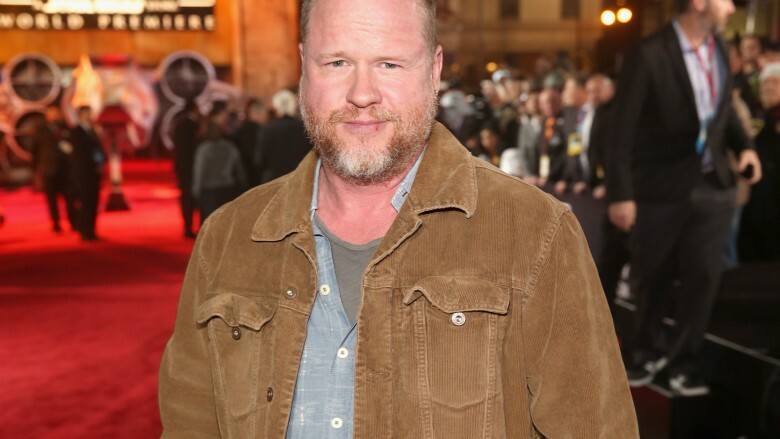 Then Joss Whedon came on, and he's the one who came up with the idea of Thanos as the huge Big Bad of the entire series. Of course, Joss Whedon isn't at Marvel anymore, so the writers of the Captain America series had to come up with a climactic end as, you know, the person who actually started the story decided to eighty-six his way out of there. The answer appears to be "have Doc Strange do magic stuff to bring the Avengers and Guardians together so they can fight Thanos together," which is certainly a better plan than what ours would've been: "ah'unno." After leaving Marvel, Jon Favreau made an indie movie called Chef. It's about a genius chef — played by Favreau — who put his restaurant (that he doesn't own) on the map. When he tries to experiment and do new and interesting things, his boss screams at him. His boss tells him that it's not his (meaning the chef's) restaurant, and he'll make what the boss wants him to make. He tries, it gets horrible reviews, so Favreau — er, his character that is — quits and goes to make an independent restaurant in the form of a food truck that is small, cheap, experimental, and is primarily staffed by his friends and old coworkers. By the way, the movie features a bunch of cameos from Marvel actors, like Scarlett Johansson and Robert Downey, Jr — his friends and old coworkers. In the end, the chef's boss is upset and, with a renewed enthusiasm, the chef begins his new role in life. Honestly, what this has to do with Jon Favreau's experience helping make the MCU, before trying to do cool stuff with Iron Man 2 before being stopped by his bosses, who wanted the same old same old, and then making his own, successful independent movie starring his buddies from the MCU … well, honestly, we're just lost. Of course, at a certain point, Marvel attempted to get this MCU behemoth under control … oh wait, no, they decided to start making spin-offs, because if you can't manage a multi-film franchise, why not add a bunch of television series? Now, at this point, to maintain integrity across the entire line, it might have made sense for Marvel Studios to remain in charge of both TV and film — however, that idea's apparently too easy. 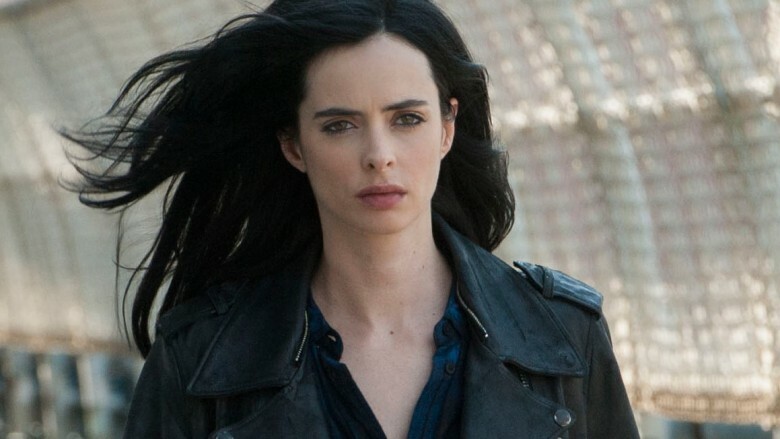 Instead, the Netflix shows (like Jessica Jones), the ABC Studios series (like Agents of S.H.I.E.L.D. ), and the movies all have completely different bosses, who barely ever interact with each other. Which also means that the characters in those different series also probably won't interact with each other, ever. 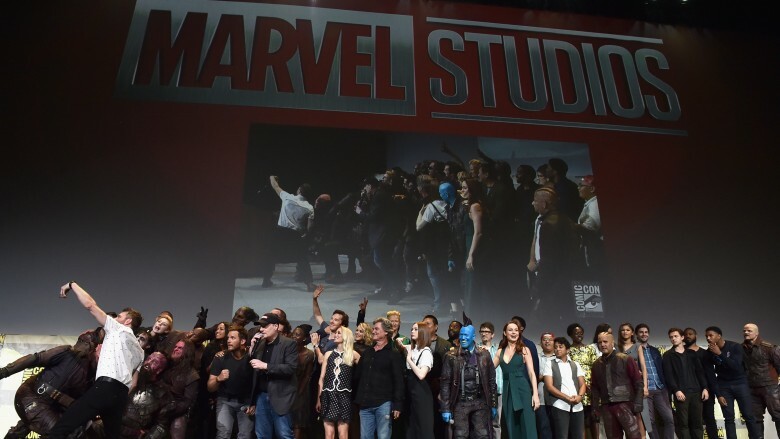 In short: the Marvel movie people made a bunch of movies, then made a bunch of shows, then it handed the reigns of the TV shows to other people, and then kinda just ran away. Because, if you realize nothing else from this entire article, you need to learn that no one at Marvel has any idea what they're doing. And yet it almost always comes together into pure awesomeness. The moral here: stop planning stuff.